Once you’ve got your beard up and running you need to look after it just like you would the hair on your head. Regular trims are a must to get rid of any split ends. It will help keep the hair healthy and make it look thicker too so it’s a no brainer. Long beards should be trimmed every couple of months and shorter ones every 2-3 weeks. Top tip – Stick with it and look to other beards for inspiration. Check out beardboard.com You will learn about the 48 hour rule here, which is, if you’re thinking of hacking it all off on a bad hair day, make sure you take 48 hours to think it through first or you might regret it in the morning! Fresh out of the shower add a few drops of Old Joll’s beard oil and massage into a slightly damp beard (the hair will absorb more of the nutrients this way). This blend of the very finest oils will treat, soften and nourish the beard. The Old Joll’s beard oil is handmade and contains only the best ingredients to nourish your facial hair and the skin beneath – it’s even great for stubble. Containing jojoba oil, vitamin E and essential oils this product will soften, treat and stop the dreaded beard itch, whilst promoting new growth. Your face will thank you for it. Next use a small amount of Jevington Jigg’s beard and moustache wax. 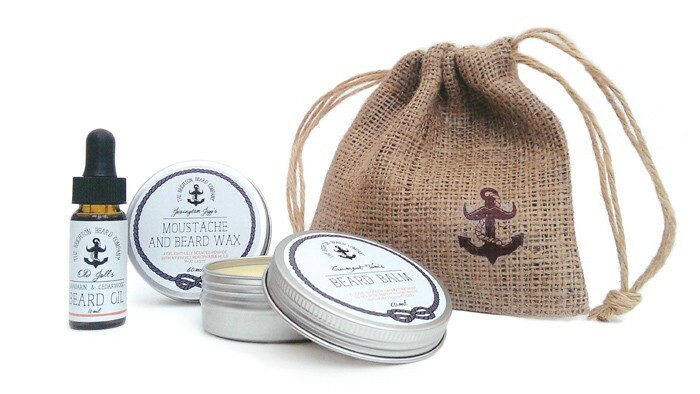 It’s a delightfully scented pomade with a firm, yet reworkable hold to tame even the most unruly of beards and taches – allowing you to shape, style and twizzle to your heart’s desire. 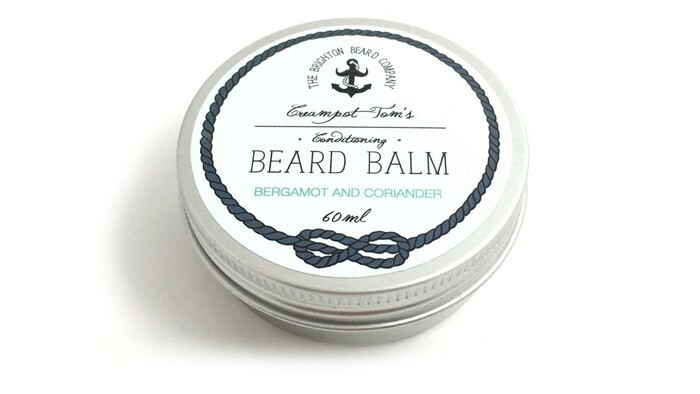 Once or twice a week try swapping Old Joll’s oil for Creampot Toms Beard Balm. It’s a leave-in conditioning treatment to help nourish, repair and tame your beard whilst providing a light hold. This handmade balm conditions the beard, helps to repair and prevent split ends whilst softening, nourishing and leaving a light shine. Works wonders when teamed with a natural boar bristle brush. Some guys are blessed with a ridiculous amount of beard coverage from a very young age, but some need a helping hand. To give yourself the best chance of getting your thickest beard you need to eat well and make sure you take good care of yourself. Invest in a decent multivitamin with lots of vitamin B, look out for Biotin which is great for growth. Finally, get a good night’s rest as losing sleep has been known to delay beard growth! 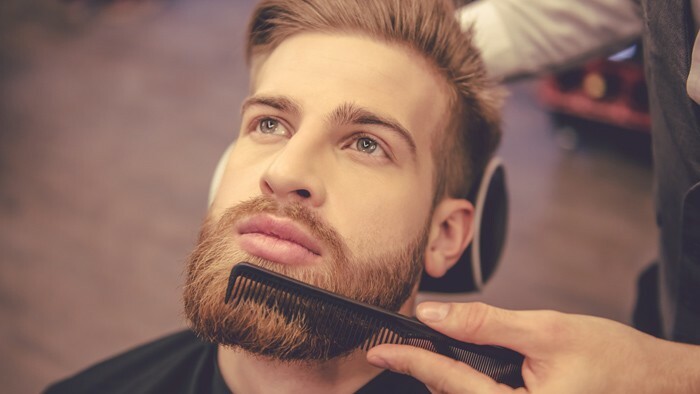 Check in with an expert – It’s always easier to take care of your beard once your barber has carefully shaped it and sharpened up the edges for you. 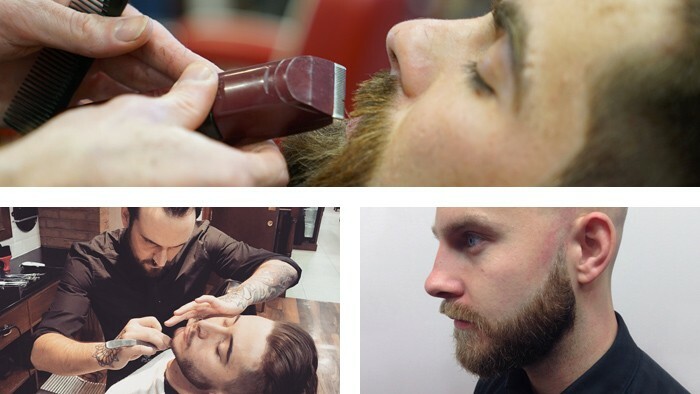 Why not come into Jacks and give your beard a treat with our exclusive beard trim service. Our experienced barbers will use their mini clippers to trim and tidy up your beard getting rid of any split ends. 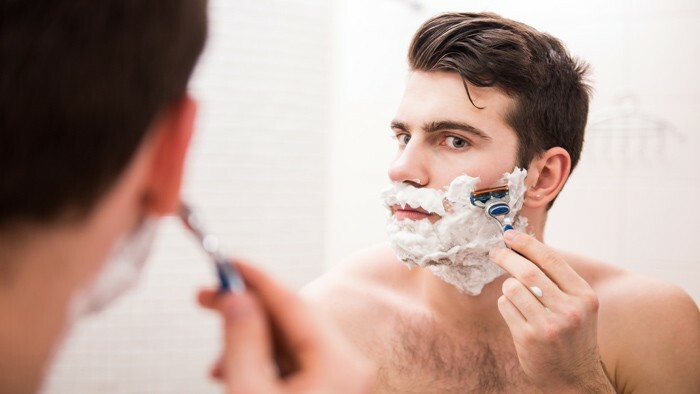 They will then use their cut-throat razor to give the edges that extra sharp look. Finally, they will massage in some Old Joll’s Brighton Beard Company beard oil to soften the hair, encourage growth and keep your beard in great condition.